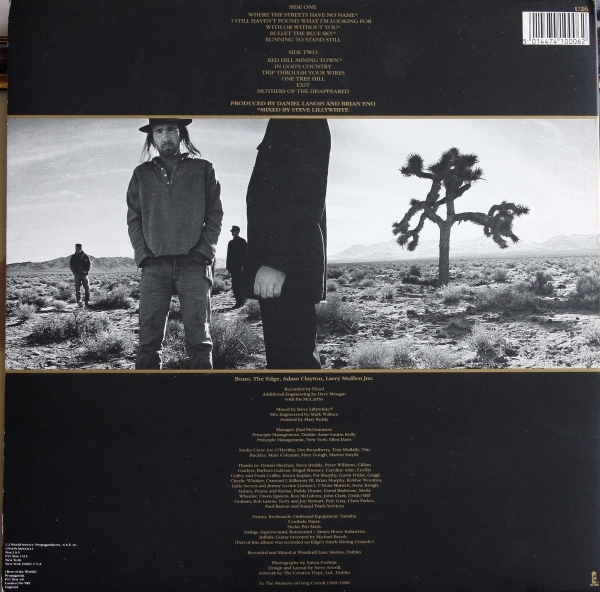 U2 5th studio album “The Joshua Tree“, one of the greatest selling albums of all-time was released on March 9, 1987. The initial concept for the sleeve of the yet untitled album was to represent where the desert met civilization. From December 14-16, 1986 U2 and photographer Anton Corbijn travelled on a bus around the Mojave Desert in California for a three-day photo shoot. 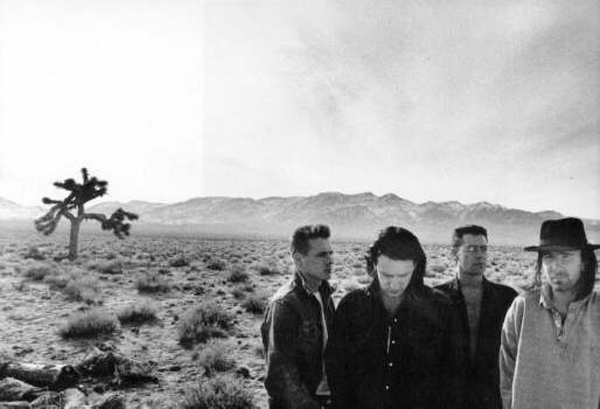 On the second day of shooting, they spotted a lone-standing tree in the desert, that tree would become U2’s “Joshua Tree“. 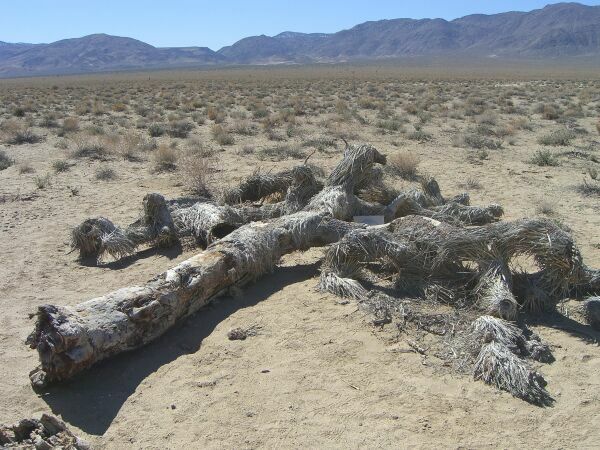 The tree was located in the middle of the California desert just outside Death Valley National Park off of Route 190. The tree would be featured on the back cover of the album as well as the gracing the label on the vinyl and CD. The tree and the album have become synonymous with one another. 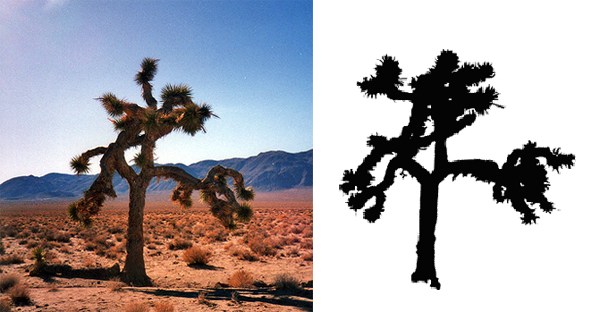 Sadly, the actual “U2 Joshua Tree” that was featured in all the photographs and as a logo in the album’s artwork died around October of 2000. It was confirmed to have fallen over by fans and it appeared to be a natural fall, not the result of vandalism. 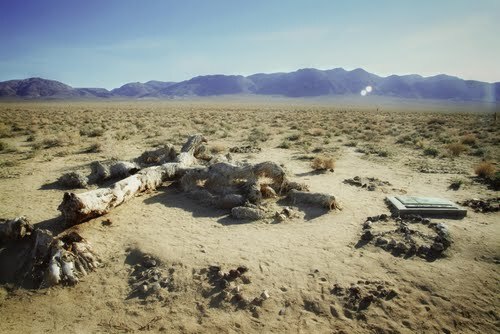 Here are the slowly decomposing remains of the U2 “Joshua Tree”. The fallen tree has become a monument to U2 and the album. There is a “U2ube” that contains a visitors log and a place for fans to leave notes and photos. 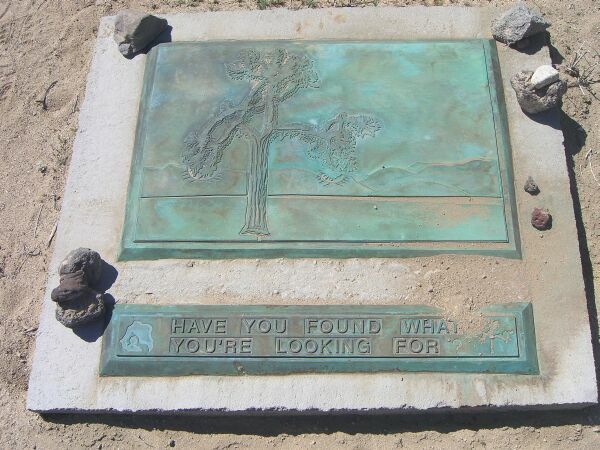 There is also this “headstone” for the dead tree that says “Have You Found What You Are Looking For”. 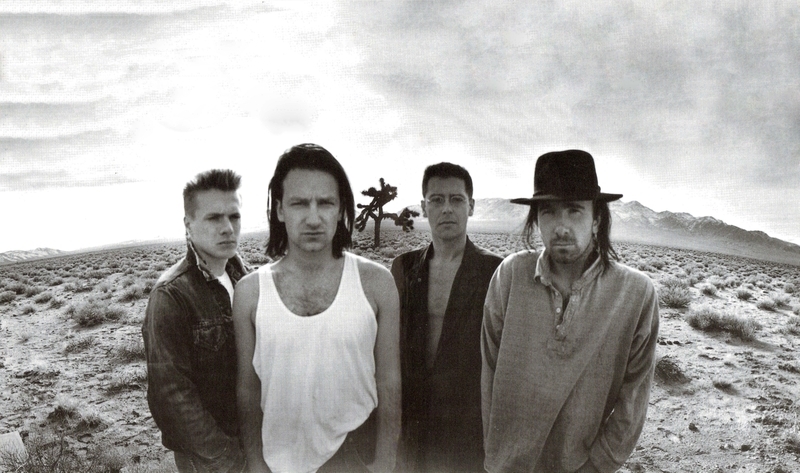 Click this link for more photos and info on U2’s Fallen Joshua Tree.